The proposed system delivered is a Real-Time Monitoring System containing sensors and data collecting platforms for oceanographic parameters. The sensors and data collecting platforms is a totally proven AADI solution. 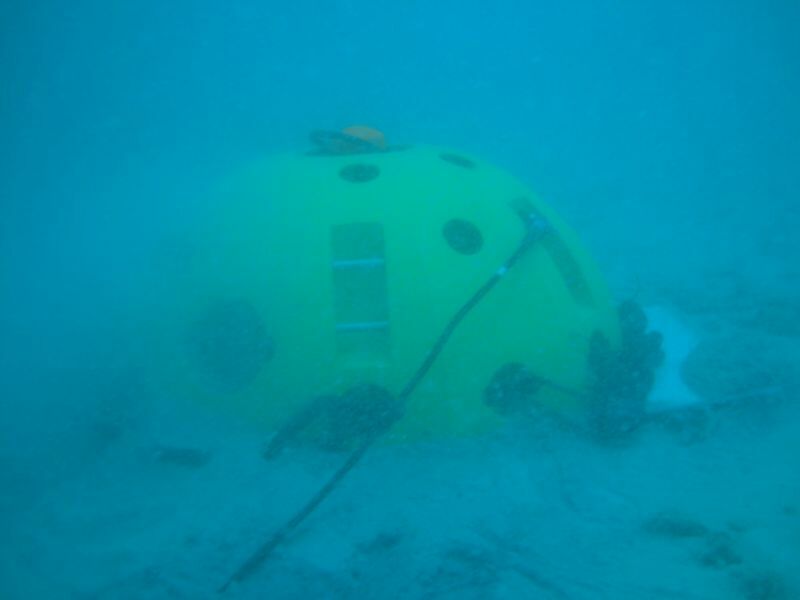 The ocean bottom system is to report data in real-time through the communication link installed on the surface buoy at typical 10 minute interval to a central receiving computer. Data carrier is normally VHF/UHF radio telemetry with a transmitting range of up to 15km depending on the ground conditions. Radio telemetry can be replaced with GPRS on request. Incoming data is handled by AADI Geoview software and stored in a SQL database. Geoview software is generating a web page with online data that is viewed by using a standard web browser. Data will also be stored in the bottom mounted instrument. The receiving system may be prepared for connection of multiple field stations. The solar panels on the surface buoy provide energy for the ocean bottom system and communication link. On the surface buoy there are also radar reflector and flashing light to identify the buoy. 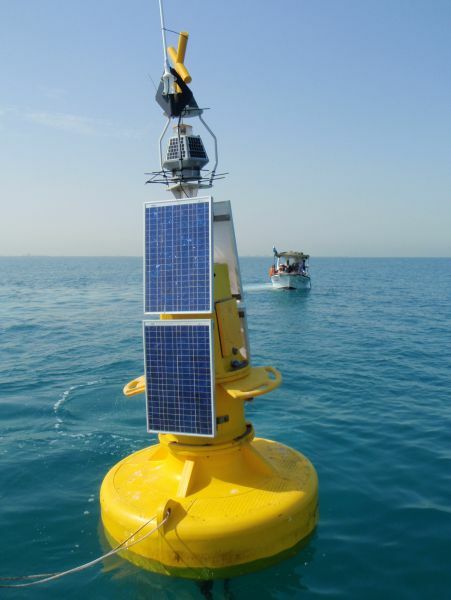 The buoy surface system consists of buoy hardware with solar panels, radar reflector, lantern, mooring eyes and communication equipment. The solar power system is providing 24VDC for radio modem and ocean instrument. A 24VDC/100Ah battery pack powers the system during the night. The lantern is programmable according to IALA standard flash sequence. 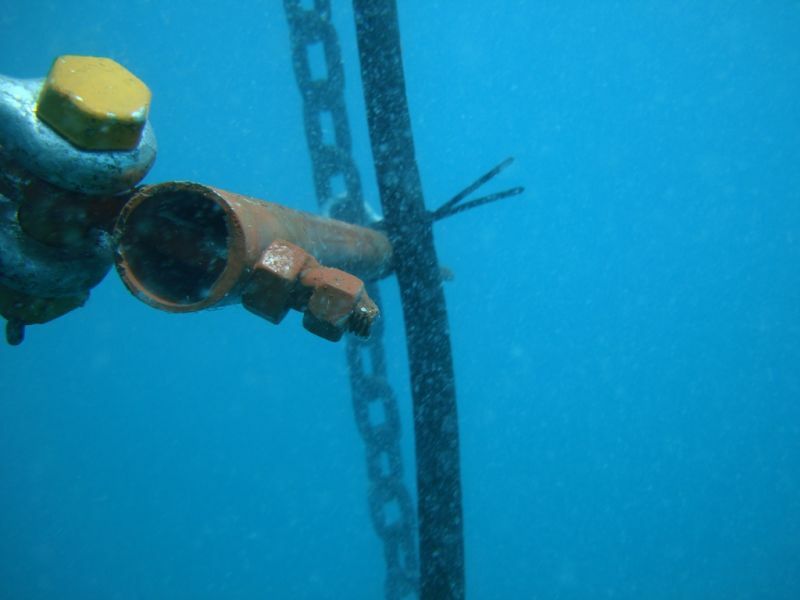 For this buoy a 2 mooring system is required. 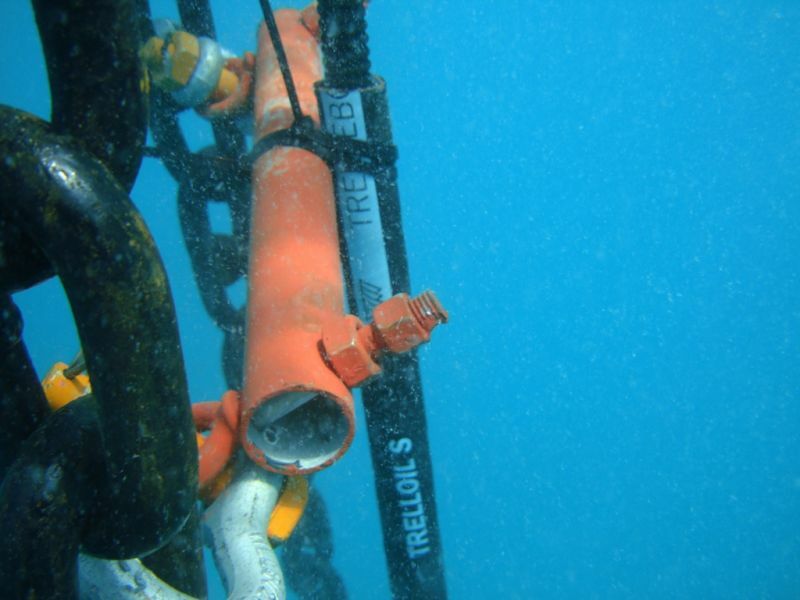 This is because the cable from the ocean instrument will be connected in the center of the buoy. 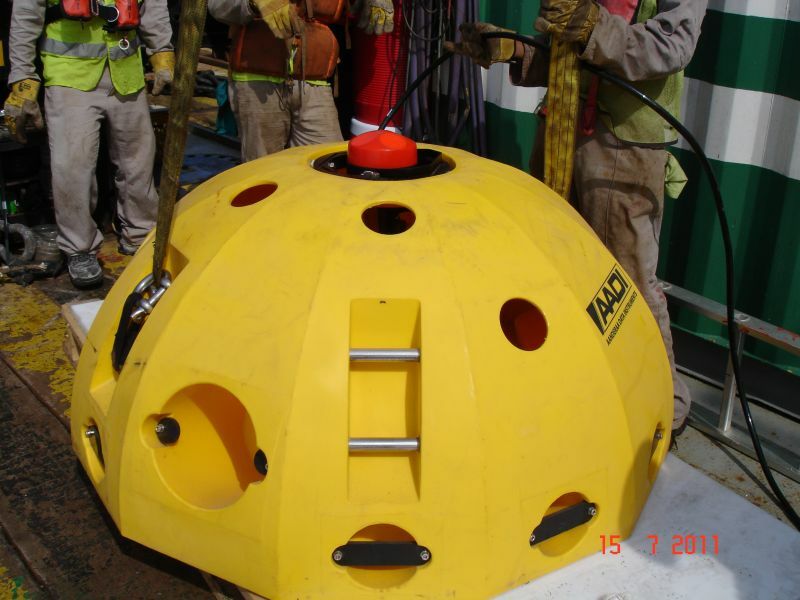 Also 2 mooring system will prevent the buoy from rotating and making a following twist on the cable. To anchor the buoy, two anchor blocks are required. Weight of the blocks should be 2-3 tons depending on local currents and waves. Mooring and anchor blocks was delivered locally. If customer needs assistance with design of the mooring, we are pleased to assist. 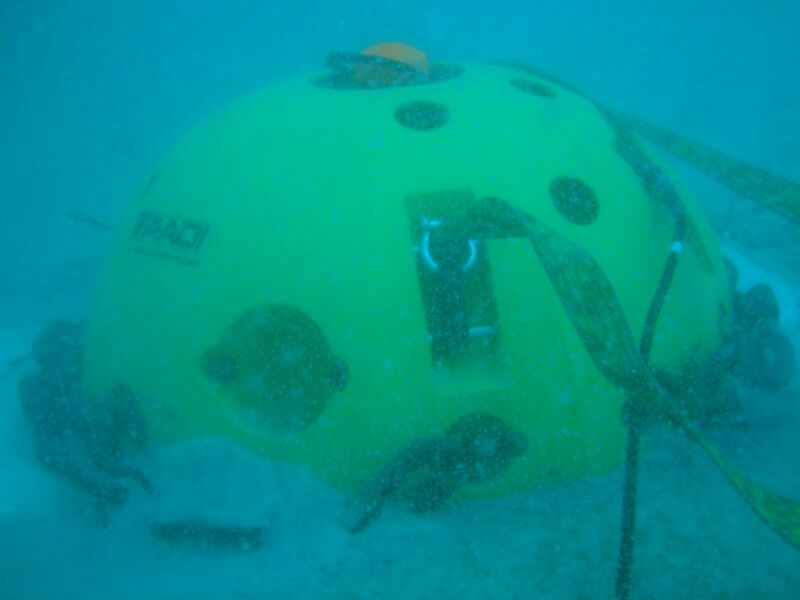 The ocean bottom system consists of a RDCP600 data collection platform installed inside a bottom mounting dome and a power/signal cable connected to the surface buoy. The RDCP600 (Recording Doppler Current Profiler 600kHz) is a multi parameter instrument measuring current profiles in water column up to 60m. This also includes surface speed and direction. In addition, you can add more sensors to the instrument like water level sensor, conductivity/salinity sensor, temperature sensor, oxygen sensor, turbidity sensor and more. The RDCP is powered with 24V DC through the cable from the surface buoy. With same cable recorded data are transmitted from the RDCP to the radio communication. Typical recording/transmitting interval for the system is every 10 minutes. Interval can be adjusted. in the Ports VTS-system. In addition the AADI Real-Time Collector software will forward data to Geoview software. The Geoview software stores data to a SQL database. A web page is generated by the Geoview software and real-time data is viewed by using a web browser. A weather station is installed in the port and data is combined in the Harbor Masters Office. The system was installed in July 2011.